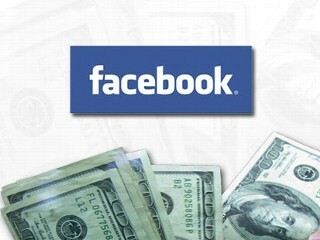 How Much is Facebook Really Worth, Anyway? Facebook investor Peter Thiel went public for the first time in Business Week affirming that acquisition talks between Facebook and Twitter did indeed occur last year but that they broke down over how to value the fast-growing social networking site. The deal, pegged in the $500 million range, would have been transacted with Facebook stock — the valuation of that stock, however, has been a moving target. Still, the economy has not seriously effected the worth of social networking…no matter what, people are social creatures who need to interact with other people, either face-to-face or via digital doubles and avatars. Thiel acknowledged that the social networking site could encounter the same problem in other acquisition talks. Microsoft valued Facebook at $15 billion when it invested in the company in 2007 but secondary stock market sales of employee stock have pegged its value in the $2-$4 billion range. Last August, Facebook employees were allowed to sell some stock on the secondary market. Citing unnamed sources, BusinessWeek said that Facebook recently told Twitter representatives that its stock was valued at $8 billion to $9 billion, but employees were selling stock with valuations of $2-4 billion. Thiel’s comments about plans for the acquisition and the disagreement over the price marked the first confirmation that the social networking site intended to buy micro-blogging site Twitter. The Wall Street Journal‘s tech blog, All Things Digital, reported on the talks in November, 2008. The failing AIG is undoubtedly wishing it had invested in social networking web sites rather than all the money-losing brick-and-mortar businesses it sunk investment funds into, especially since the U.S. government now owns 80% of it, and Obama gave Twitter a facelift at the start. Do Facebook and Twitter need to merge? What will that gain except control over social networking? After that merger, we may see Myspace latch on to create MyFaceTwitterBook, next to be purchased by Bill Gates so that Microsoft can charge for the use of all three platforms, thus creating a social digital monopoly. Anti-Trust advocates should take note!